If your Safari, Mozilla Firefox and Google Chrome web browser homepage have changed to Search.ewatchseries2.live somehow, and you have tried to return your start page and search provider from web-browser settings, but it didn’t help, then it could mean that you’re a victim of unwanted program that belongs to the browser hijacker family. The hijacker is an one type of unwanted programs which may make certain undesired changes to web-browsers settings without your’s permission, to redirect you into undesired web sites. 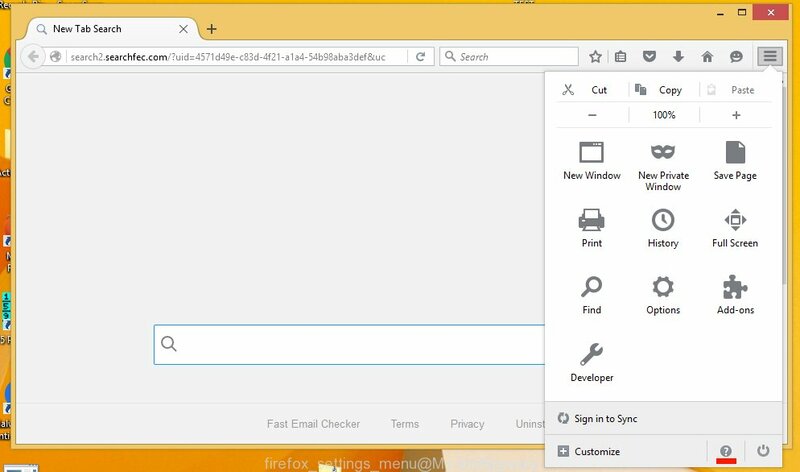 The browser hijacker usually replace the Google Chrome, Safari and Mozilla Firefox current start page, search provider by default and newtab page with its own. Except that the Search.ewatchseries2.live alters browser’s start page and newtab, it also changes your search provider, which leads to the fact that use of the web-browser’s search becomes uncomfortable. The reason for this is that the search results will consist of a huge count of ads, links to undesired and ad web-pages and only the remaining part is search results for your query from well-known search providers like Google or Bing. As well as undesired internet browser redirects to Search.ewatchseries2.live, the hijacker can gather your Internet surfing activity by recording URLs visited, IP addresses, internet browser version and type, cookie information, Internet Service Provider (ISP) and webpages visited. Such kind of behavior can lead to serious security problems or confidential data theft. This is another reason why the browser hijacker that redirects the browser to Search.ewatchseries2.live should be removed as soon as possible. It’s important, do not use Search.ewatchseries2.live website and don’t click on ads placed on it, as they can lead you to a more malicious or misleading pages. The best option is to use the instructions posted below to clean your MAC OS of browser hijacker, remove the Search.ewatchseries2.live start page, and thereby revert back your previous start page and search engine. When a hijacker like the Search.ewatchseries2.live gets installed on your machine without your knowledge, it’s not easy to delete. Most commonly, there is no Uninstall program which simply remove the browser hijacker infection that causes web browsers to display annoying Search.ewatchseries2.live web-page from your Apple Mac. So, we suggest using several well-proven free specialized tools such as MalwareBytes Free. But the best solution to get rid of Search.ewatchseries2.live start page will be to perform several manual steps, after that additionally use antimalware tools. Steps to get rid of Search.ewatchseries2.live browser hijacker without any apps are presented below. Be sure to carry out the step-by-step guide completely to fully get rid of this intrusive Search.ewatchseries2.live . First method for manual browser hijacker removal is to go into the Finder, then Applications. Take a look at the list of apps on your computer and see if there are any dubious and unknown software. If you see any, you need to uninstall them. Of course, before doing so, you can do an Net search to find details on the program. If it is a potentially unwanted application, ad supported software or malicious software, you will likely find information that says so. 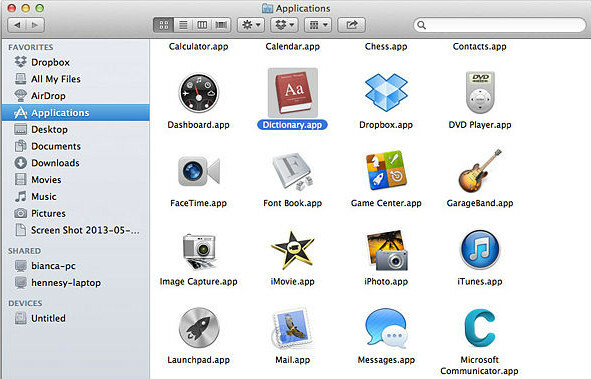 Open Finder and click “Applications” as displayed on the image below. You will see a list of programs installed on your Apple Mac. We recommend to pay maximum attention to the program you installed last. Most probably, it’s the browser hijacker responsible for Search.ewatchseries2.live redirect. If you’re in doubt, you can always check the program by doing a search for her name in Google, Yahoo or Bing. Once the program which you need to uninstall is found, simply right click on its name, and select “Move to Trash”. Resetting Google Chrome to default state is useful in deleting the Search.ewatchseries2.live hijacker infection from your browser. This method is always helpful to complete if you have difficulty in removing changes caused by hijacker infection. Once this process is complete, your web browser’s default search engine, homepage and newtab will be restored to their original defaults. The Safari reset is great if your web browser is hijacked or you have unwanted addons or toolbars on your internet browser, which installed by a malicious software. It will open the Safari Preferences window. Next, click the “Extensions” tab. Look for unknown and suspicious plugins on left panel, select it, then click the “Uninstall” button. 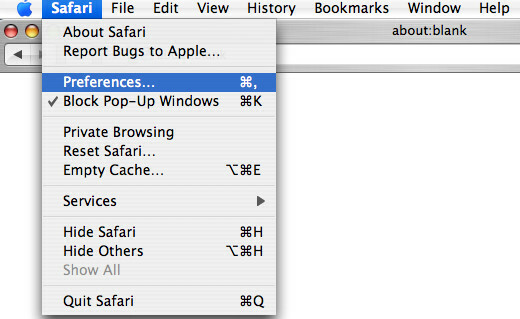 Most important to get rid of all unknown extensions from Safari. 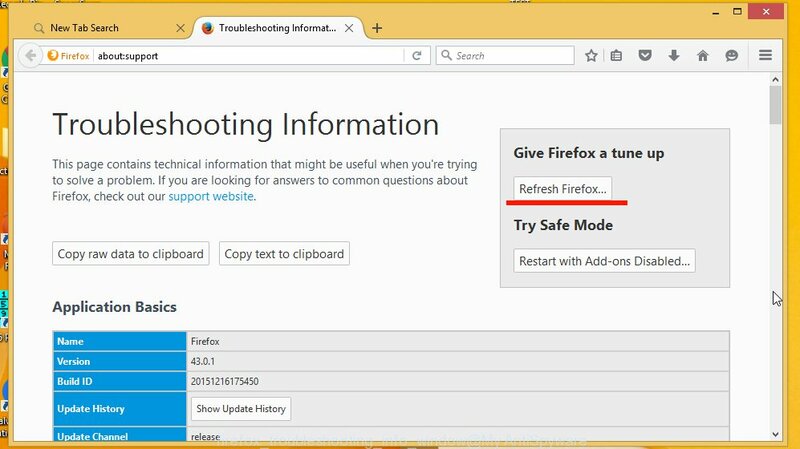 If your Mozilla Firefox web browser homepage has changed to Search.ewatchseries2.live without your permission or an unknown search engine opens results for your search, then it may be time to perform the internet browser reset. It will save your personal information such as saved passwords, bookmarks, auto-fill data and open tabs. First, start the Firefox and click button. It will show the drop-down menu on the right-part of the web-browser. Further, click the Help button ( ) as displayed in the following example. It will show the confirmation prompt. Further, click the “Refresh Firefox” button. The Firefox will begin a process to fix your problems that caused by the browser hijacker responsible for Search.ewatchseries2.live . When, it’s finished, click the “Finish” button. If you are not expert at MAC technology, then we suggest to run free removal utilities listed below to delete Search.ewatchseries2.live for good. The automatic method is highly recommended. It has less steps and easier to implement than the manual method. Moreover, it lower risk of system damage. So, the automatic Search.ewatchseries2.live removal is a better option. Manual Search.ewatchseries2.live removal requires some computer skills. Some files and registry entries that created by the hijacker may be not completely removed. We advise that use the MalwareBytes Free that are completely clean your MAC system of browser hijacker infection. Moreover, the free application will help you to remove malware, PUPs, adware and toolbars that your MAC OS can be infected too. MalwareBytes Free can be downloaded from the following link. After the download is complete, please close all software and open windows on your MAC OS. Run the downloaded file. Follow the prompts. The MalwareBytes AntiMalware (MBAM) will run and show the main window. Further, press the “Scan” button to perform a system scan with this utility for the hijacker infection responsible for redirections to Search.ewatchseries2.live. This procedure can take quite a while, so please be patient. 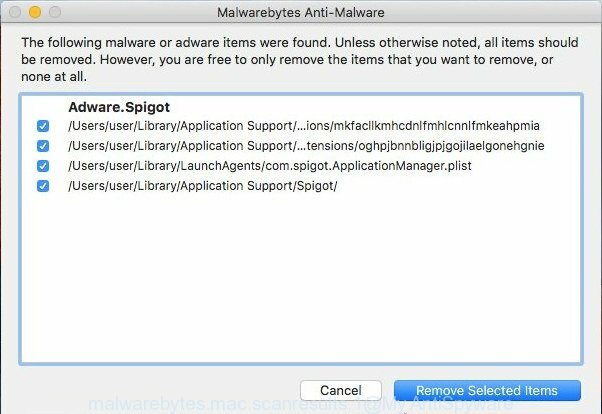 Once that process is done, MalwareBytes AntiMalware will display a list of all items detected by the scan. When you are ready, press the “Remove Selected Items” button. Enabling an ad-blocker program such as AdGuard is an effective way to alleviate the risks. Additionally, ad blocking programs will also protect you from harmful advertisements and web pages, and, of course, block redirection chain to Search.ewatchseries2.live and similar sites. After the setup is complete, click “Skip” to close the setup program and use the default settings, or click “Get Started” to see an quick tutorial that will allow you get to know AdGuard better. In most cases, the default settings are enough and you do not need to change anything. Each time, when you start your MAC system, AdGuard will run automatically and stop advertisements, Search.ewatchseries2.live redirect, as well as other harmful or misleading sites. These days some free programs developers bundle bundled apps that could be PUPs such as the Search.ewatchseries2.live browser hijacker infection, with a view to making some money. These are not free applications as install an unwanted software on to your MS Windows MAC system. So whenever you install a new free program that downloaded from the Internet, be very careful during install. Carefully read the EULA (a text with I ACCEPT/I DECLINE button), select custom or manual setup method, uncheck all third-party applications. Now your MAC system should be free of the hijacker infection responsible for redirecting your web-browser to Search.ewatchseries2.live web site. 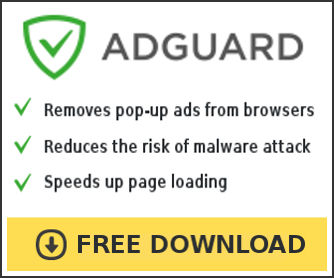 We suggest that you keep AdGuard (to help you stop unwanted pop-up advertisements and annoying harmful web-sites) and MalwareBytes Anti-Malware (MBAM) (to periodically scan your computer for new malware, browser hijacker infections and ad supported software). Make sure that you have all the Critical Updates recommended for Mac operating system. Without regular updates you WILL NOT be protected when new browser hijackers, malicious applications and adware are released. If you are still having problems while trying to remove Search.ewatchseries2.live start page from your web-browser, then ask for help here.